The other morning my eyes popped wide open at 5:30 and my brain started working on a holiday math equation: 6 weeks equals about 42 days. 42 days, divided by 42,000 items on my to-do list = not enough time to get everything done before Christmas. In addition to the normal household and school/sports activities, between now and New Year’s we have 4 birthdays, out of town guests, Thanksgiving dinner and Christmas Eve dinner to host, plus shopping, wrapping and decorating on top of an already full calendar. I don’t forget to eat (I wish!) but I do get so involved in what I am doing that by the time I reach a good stopping off point, it’s usually because I need to move on to the next thing. Sometimes it is too close to dinner by the time I get a break and then I just wait or I grab a handful of something that isn’t a great choice. When I don’t eat, I get Hangry. 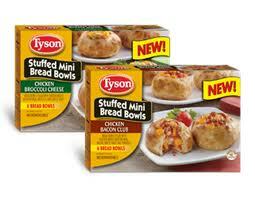 Tyson has started making Stuffed Mini Bread Bowls. One of the reasons I am likely to skip a meal here and there, is because I don’t keep prepared foods like this on hand. Why? They usually don’t taste very good, are chock full of preservatives, and only come wacky kid flavors like cheeseburger-pizza-watermelon. These have more wholesome ingredients, come in grown up varieties like Chicken Broccoli Cheese or Chicken Bacon Club, and you can eat them in the car without making a mess. Score! So as I run around trying to get everything done this season, I am going to try my best to remember to eat something. Oh! 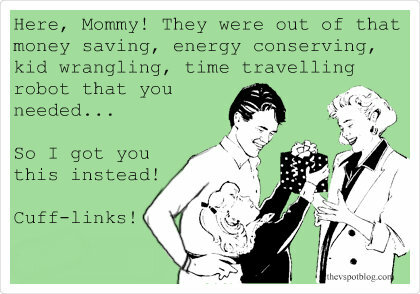 And I need to order Christmas cards! From soccer practice to PTA meetings, feeding an active and busy family can be hard. Tyson® Mini Bread Bowls help you get a little goodness on the go. Reply below to let me know what activities keep you and your family eating on the go and you could win $500 cash from Tyson Foods! This is a sponsored conversation written by me on behalf of Tyson. The opinions and text are all mine. Official Sweepstakes Rules.